From high vis to vintage tweed, deconstructed designs to high shine trenches, of course we each have a preferred style. Ahh, the humble coat. ‘Tis the season to get them out and of course, we each have a favourite (by ‘a’ favourite, I mean, probably, like three). Now you guys KNOW I love myself a thick teddy coat but when it comes to some serious sartorial elegance, I choose my cover ups wisely. The fit, cut and fabric has to be just right! As I do every year, I had a trawl through what Boden have to offer. 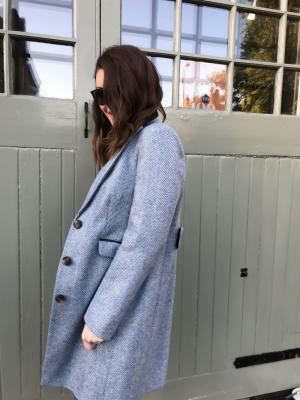 I love Boden coats, the quality and flattering fit is second to none and I rarely find an alternative on the high street that’s worth investing in. Sure the price tag is a little on the premium side but when you walk in to the average shop these days I can’t help but feel those other guys are over pricing their stuff. Boden on the other hand is totally worth it. I still have my gorgeous pink one from last year; they really are timeless classics. 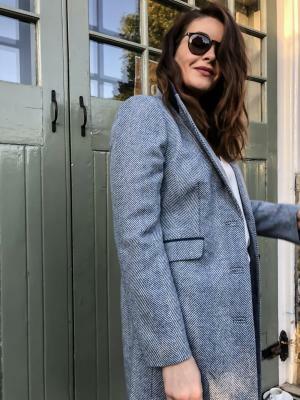 So this season I chose this gorgeous wool blend Eastbourne coat and I just love it. It comes in three colours and each has a contrasting velvet collar. I don’t know about you guys but I love a turned up collar, I feel like it makes any jacket or coat so much cooler! 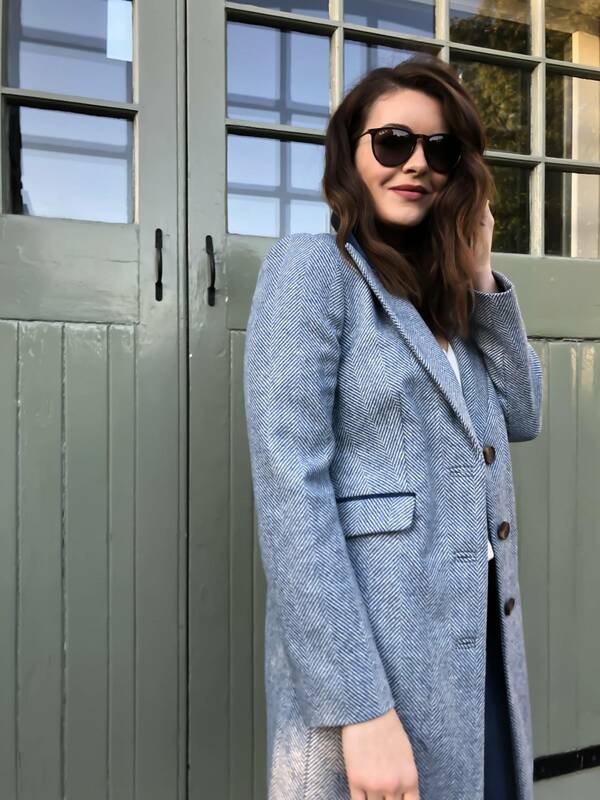 The blue is great because its totally understated and worn with a simple blue skinny jean, it’s the perfect coat for everyday wear. 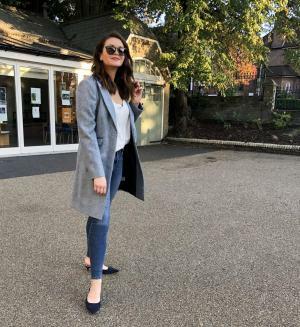 I wore mine with the beautiful navy kitten heel mules (also Boden) and just a simple white cami – great for taking Mia for a walk or popping to the shops. You look so pretty in these pictures. Did you see that they are opening up a Boden shop in Westfields?